I must admit, I don't mind the comeback of trends from the 90's AT ALL. In fact, I greatly enjoyed 90's styles as it was when I really started to have an interest in fashion and wore some of my favorite outfits to date. The 1990s was when I first started paying attention to fashion through my many fashion influences... Clarissa Explains It All, Saved by the Bell, My So Called Life... no complaints here! 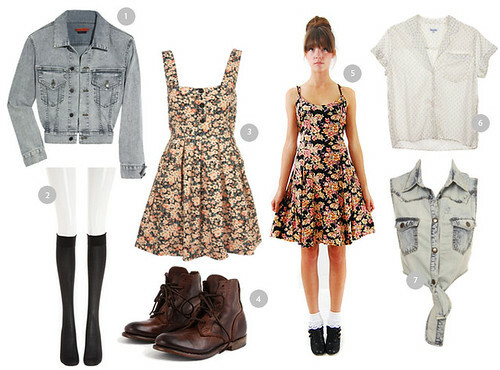 Bring on the florals, bring on the biker shorts, bring on the socks! Oh man! I loved the 90s. I was born in the 90s but I definitely remember wearing all those crazy things. I like all your vintage sets,is this your collections?